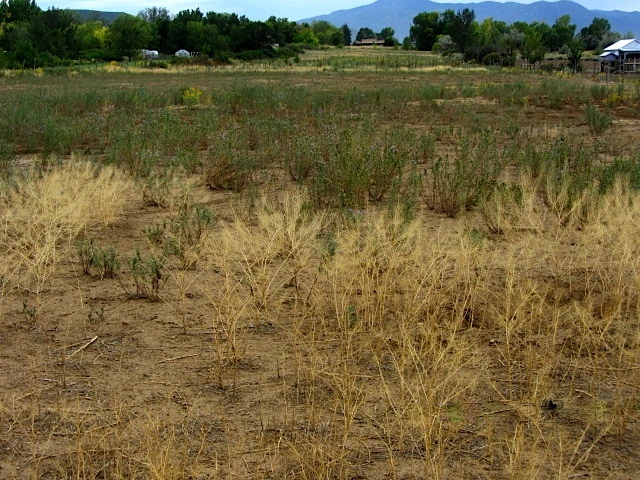 Home » Blog » What Can I Do To Protect My Water Rights In Drought Years? New Mexico law, including our Constitution, our statutes and State Engineer regulations, all point to beneficial use of water as the limit of one’s water rights. Specifically, Article XVI, Section 3 of our state Constitution provides: “Beneficial use shall be the basis, the measure and the limit of the right to the use of water.” If, in times of drought, there is no water, or little water, to use, how does the legal requirement of beneficial use impact our water rights? Conditions beyond the owner’s control. At first glance, the forfeiture statute appears rather harsh on this issue of beneficial use during times of drought. If a water right owner “fails to beneficially use all or any part of the water claimed by him…for a period of four years, such unused water shall, if the failure to beneficially use the water persists one year after notice revert to the public and shall be regarded as unappropriated public water.” However, the statute provides on out: “forfeiture shall not necessarily occur if circumstances beyond the control of the owner have caused nonuse, such that the water could not be placed to beneficial use by diligent efforts of the owner.” Therefore, a shortage of water due to drought is beyond the owner’s control, and our Supreme Court has so held on to at least one occasion. In Chavez v. Gutierrez, the court held that there was no case for abandonment where several factors rendered “irrigation impractical or impossible”, including droughts producing a shortage of water, the progressively increasing depth and width of a canyon running through the parcel at issue, and the owners actively irrigated when water was available. Water banking. If there is some water flowing through the acequia during a drought, acequia parciantes can take advantage of water banking to protect their water rights while still encouraging others to actively irrigate. The water banking statute protects acequia water rights from claims of non-use while those water rights are in the bank. One of the purposes of the bank is specifically called out: “to augment the water supplies available for the places of use served by the acequia.” Water supplies are short, of course, during times of drought, and this statute allows one person’s water rights to be used on other irrigated parcels on the acequia without penalty to the water right owner. You can also look at the water bank as a form of water sharing between parciantes. One parciante forgoes irrigating so other parciantes have more water to irrigate their parcels. State law, via the water banking statute, codifies this customary practice and specifically protects water rights placed in the water bank. The theory, consistent with our Constitution’s mandate on beneficial use, is that the water rights in the water bank that are appurtenant to one particular place of use are being beneficially used elsewhere on the ditch. Pay your dues and maintain your headgates. Just because there is no water, or less water, in the acequia does not mean that you should stop participating on the acequia. Your assessments are more than just a fee for water. They are integral to operating a local, public body and go to paying all expenses of the acequia, including potentially improving infrastructure to make the best use of what little water may be available to the members. Participation on the acequia has individual benefits as well. Remember that if there is ever a disagreement about whether it is “impractical or impossible” to irrigate due to drought, your actions as a water right owner will be called into question. Proving an intent to abandon water rights becomes easier as the years of continuous non-use increase. The State Engineer or others who are calling into question the validity of your water rights will look to other evidence besides actual irrigation. Did the parciante remain in good standing with the acequia during the period of non-use? Did the parciante maintain their “on-farm” infrastructure like headgates and laterals? Did the parciante keep invasive species under control during the period of non-use in order to beneficially apply water when, or if, it becomes available? Hopefully, during this extremely dry year, you will answer yes to these questions whether you irrigate or not. Conserving water does not diminish your water rights. At least that is what is suggested in 72-5-18 (B), NMSA 1978. I think it is worthwhile to provide the exact statutory language: “Improved irrigation methods or changes in agriculture practices resulting in conservation of water shall not diminish beneficial use or otherwise affect an owner’s water rights or quantity of appurtenant acreage.” Some folks have expressed some concern that if they use less water, whether during times of drought or otherwise, they will be penalized by the State Engineer by having their quantity of water or their irrigable acreage reduced. This statute appears to protect existing, vested water rights and however they have been exercised prior to the conservation practice taking place. It’s disconcerting to see little or no water flowing through the acequia during times of drought. But don’t lose hope. Instead, show the world that it’s business as usual during this unusually dry period. Pay your dues, go to meetings, keep your headgates maintained, and prepare your land for water when it eventually comes. It will.